Well, here we go. After the 4th warmest winter in Saskatchewan history we are off to an early start to the 2016 season. By almost all early reports, it was a great winter for turfgrass survival and I hope everyone has a very successful season. As everyone knows, on February 14, 2016 we lost our Executive Director, Don Campbell, after a nearly 30 year battle to heart disease. My Dad began working at Riverside as a caddy and shagging balls for Head Professional Bill Turnbull in the late 1940's and then joined the green staff where he worked summers while trying to pursue a professional hockey career. He left Riverside for 3 years before returning to be Superintendent in 1969 and also managing the club in 1970. He worked both positions until 1985 and was Executive Director until his retirement in 1996. Upon retirement Don took on the position of Executive Director of the STA, which was very fitting, as the STA idea was started in conversations across the alley between my Dad and Dr. Stu Nelson, a Horticulture Professor at the University of Saskatchewan, and our neighbour. They talked about the need for an organization to promote the turfgrass industry, raise awareness and provide education for its members and also to raise money for turfgrass research. Don Campbell has devoted most of his life to making our profession and our industry better, raising awareness and promoting the turfgrass industry tirelessly across the province and country. I think we all owe Don a huge debt of gratitude for the passion and energy he dedicated to the benefit of us all. In the last couple of months, as my Dad was getting weaker, I heard an old 70's song and a few lines of that song had meaning to me: "The leader of the band is tired and his eyes are growing old, but his blood runs through my instrument and his song is in my soul. My life has been a poor attempt to imitate the man. I'm just a living legacy to the leader of the band." Now I never claimed to be any kind of living legacy, but I think the STA can be a fitting legacy to Don Campbell. The Board of Directors met in March to determine a course of action for our future. At that meeting it was decided that Kim Larsen would take over the administrative and financial duties of the STA and that myself, Doug Campbell would serve as interim Executive Director. 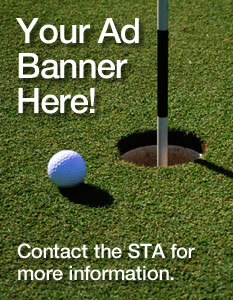 Our Board of Directors are talented, dedicated people who are committed to ensuring that the STA remains a strong, viable organization, but we also need the same commitment from our members through attendance at seminars, field days and the Research Tournament, as well as promoting our association and the turfgrass industry. We also would like everyone to share their expertise and experience by providing articles and ideas for the newsletter, either by writing an article or forwarding an article they have read. I had the privilege of working for and learning from Don Campbell from 1973 to 1996 and also on the board of the STA from 1998 to 2016 (oh yeah and for almost 57 years as my father!). I am committed to seeing the STA carry on and continue to be successful, but I cannot do it alone, we need to do it together. Don Campbell has said his last "I'm outta here guys!" but you get me next month. PS. Many thanks to all those for their kind words and condolences about my father. The family and myself really appreciate it.